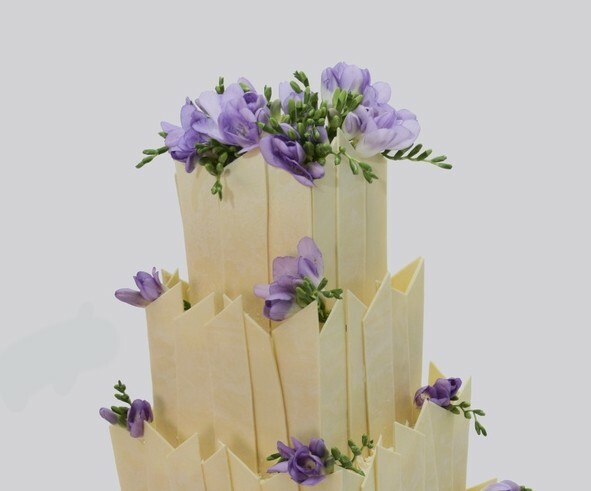 Make chocolate panels and attach them along the edges of each cake tier! See the actual photo on the source. See a tutorial for making chocolate panels. See a tutorial for making and assembling the panels with a ribbon.